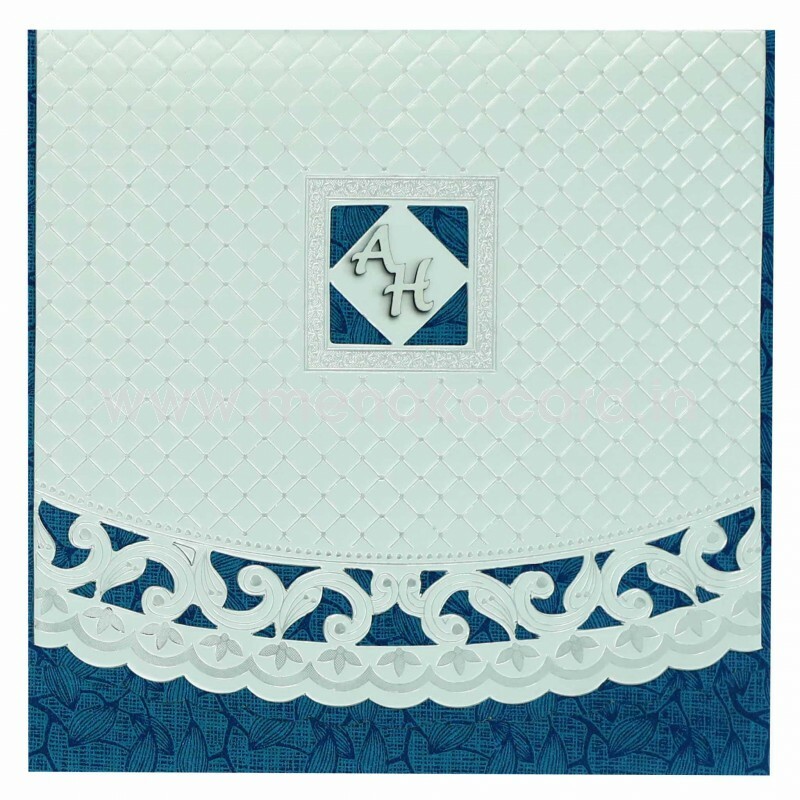 This Royal blue card is made from a perfect mixture of a silver metallic board and matt finish shimmer board with beautiful blue floral lancer designs.The main flap of the card has latticed checkered pattern that embossed with silver foil which lends a modern touch to the card. The die-cut window on top houses the initials of the couple in silver and is decorated at the bottom but a charming but bold filigree die cut pattern. 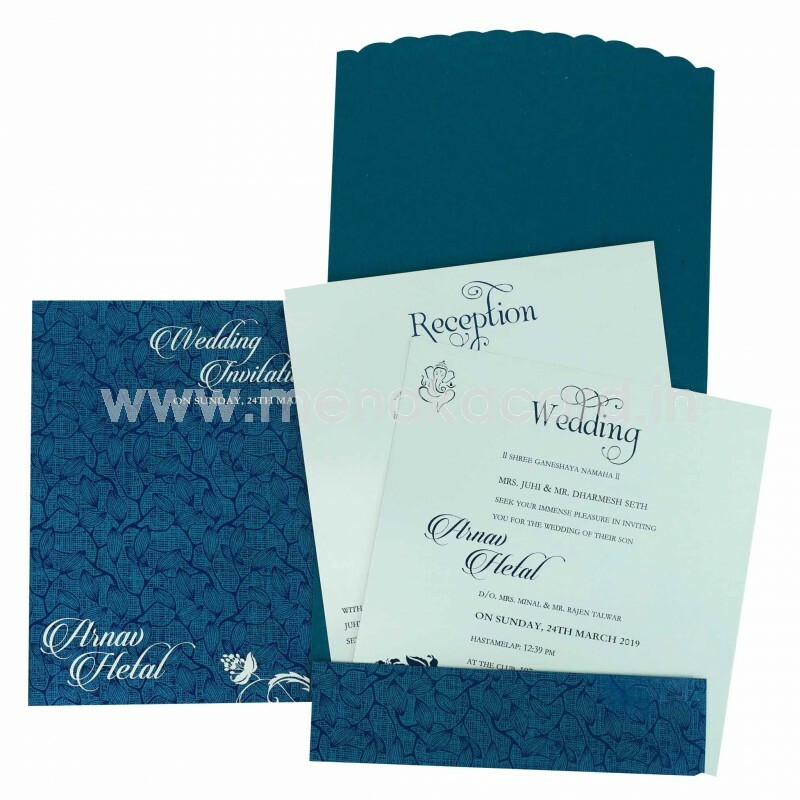 The silver inserts of the card sit inside the blue card holder, containing content printed in the blue of the card. 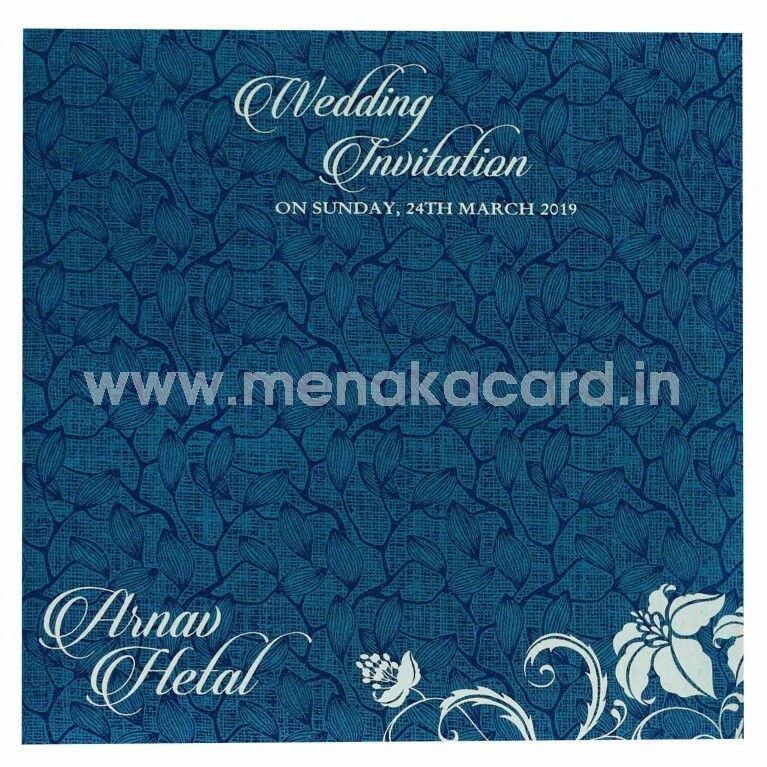 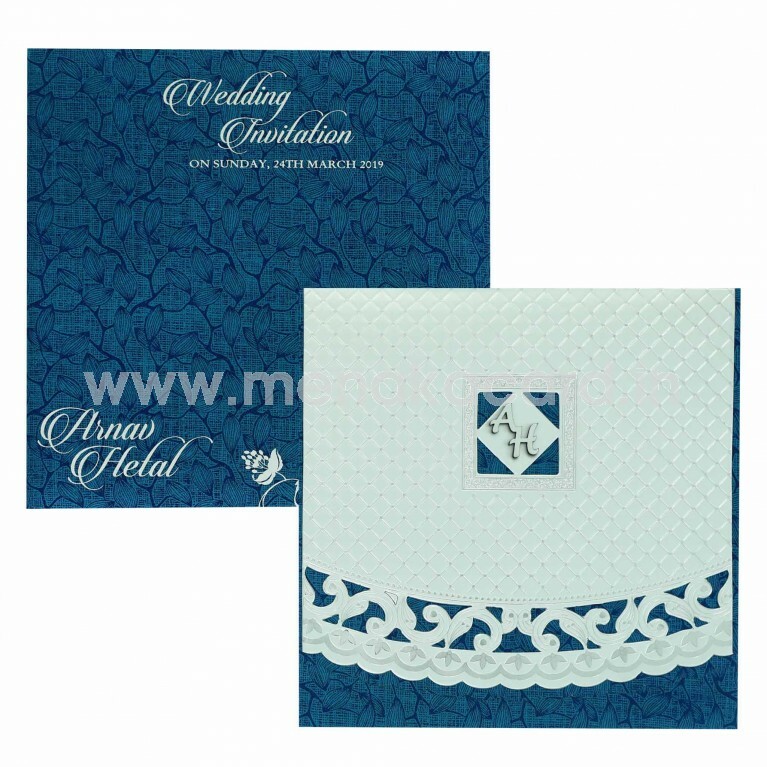 This can be used for Hindu, Christian and Muslim weddings as well as personal invitations to friends and colleagues.